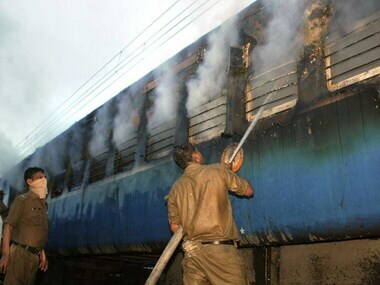 Despite repeated fire incidents in trains, railways is yet to install automatic fire alarm system in a majority of long-distance services. It was an agonising wait for relatives of the passengers of the ill-fated Bangalore-Nanded Express train as they stood outside the state-run Victoria Hospital here, some expecting bodies and others not even sure of the fate of their dear ones. 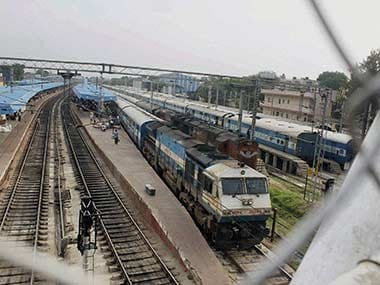 "We were asleep... All of a sudden, we all woke up to a burning sensation," said a survivor, who played a good Samaritan to help three fellow passengers escape but lost his wife and uncle in the Bangalore-Nanded Express train fire tragedy. 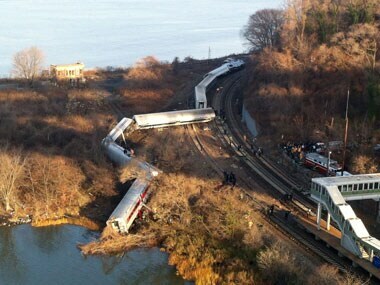 A suburban New York train derailed on Sunday, killing four people and injuring 70, including 11 critically, when all seven cars of a Metro-North train ran off the tracks on a sharp curve, officials said. 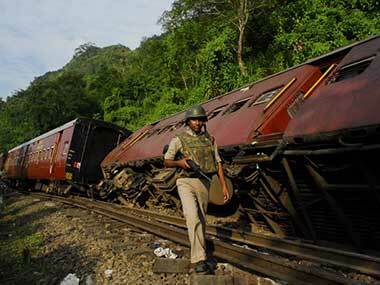 Five people are feared dead and 50 injured as four coaches of Ernakulam-bound Mangala Express derailed near 40 km away from Nashik in Maharashtra this morning.